Time to relive the best and worst bits from the Chinese Grand Prix event one last time. It was rather fitting that Daniil Kvyat lived up to his ‘Torpedo’ nickname in China. 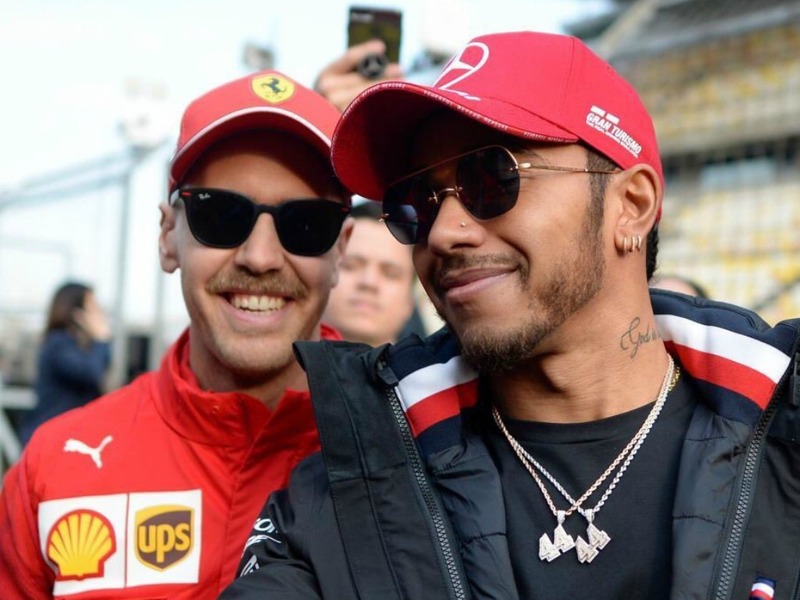 It was, after all, where the term was coined by Sebastian Vettel at the 2016 Chinese Grand Prix. The moments of silence before Vettel begins his outburst are still absolutely glorious. The main victim this year was Lando Norris, who came to terms with the Kvyat collision a little better than Vettel did a few years ago. Was he finished there? Absolutely not. All joking aside, Kvyat can count himself very unfortunate to be on the receiving end of a drive-through penalty when he was effectively part of a McLaren sandwich. He can also count himself very unfortunate to be on the receiving end of stupid questions back in the paddock. At least he wasn’t having any of Ziggo Sport’s bull****. No messing around. Straight to Kimi Corner. It was his turn to do the circuit guide and you have to say he did an excellent job in showing just how much enthusiasm he has for the whole thing. And here he is running over the foot of Sky Sports’ F1 presenter Rachel Brookes and not even apologising for it. He would save his best until last, though. After another points finish in the bag he was straight on the bubbly. Q3 was a bit of a mess, wasn’t it? Poor Max Verstappen, he was just trying to be nice! But, it appears, rather than blame other drivers, Verstappen should be having a conversation with his own team. And if anyone had a right to be angry over the course of the Chinese Grand Prix weekend, how about this from Carlos Sainz on Kimi Raikkonen. What is he playing at?! And here he is repositioning his car so the lights can give fans a better picture. Fair play. After all that build-up to #F1000 we got a race dominated by Mercedes and tarnished by Ferrari team orders…for a change. 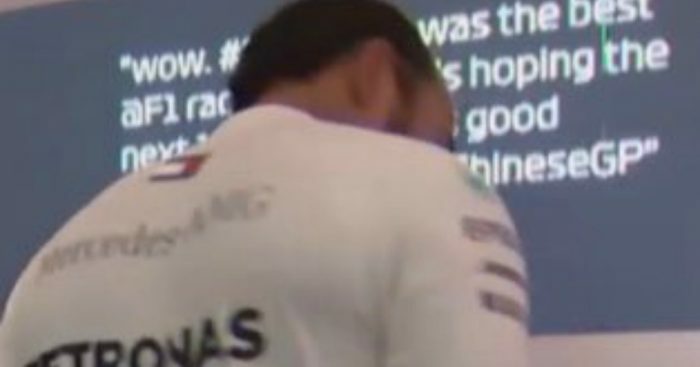 Such was the desperation from Formula 1 to try and make the event befitting of the landmark number, they used tweets from their own employees to put up on the social wall after the race. When you have to go to these lengths to try and generate interest in the sport, doesn’t that just tell you the whole things is broken? Daniel Ricciardo provides a absolute corker of an answer to Channel 4 when asked about his relationship with team-mates past and present. Esteban Ocon interviewing on Sky: "So boss, how is your feeling ahead of the race?" 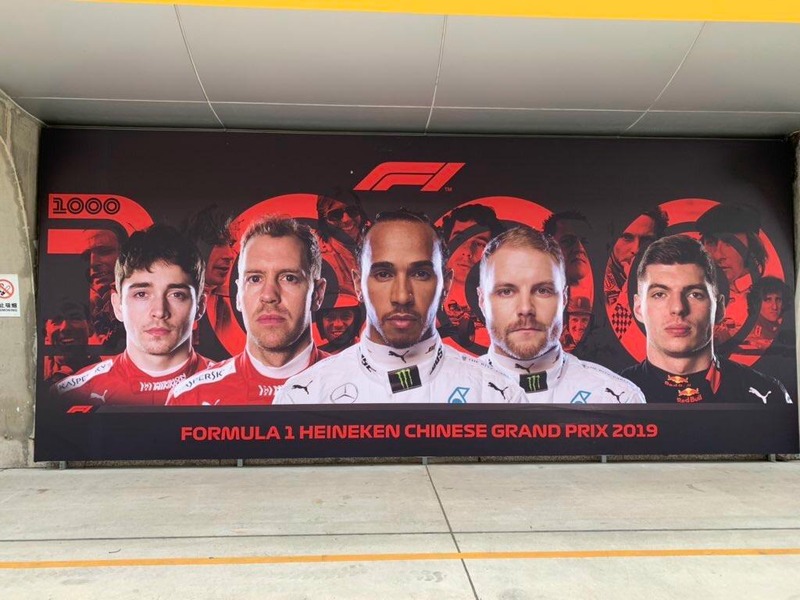 And Pierre Gasly still has some way to go it seems to become one of the poster boys of F1. Ouch. 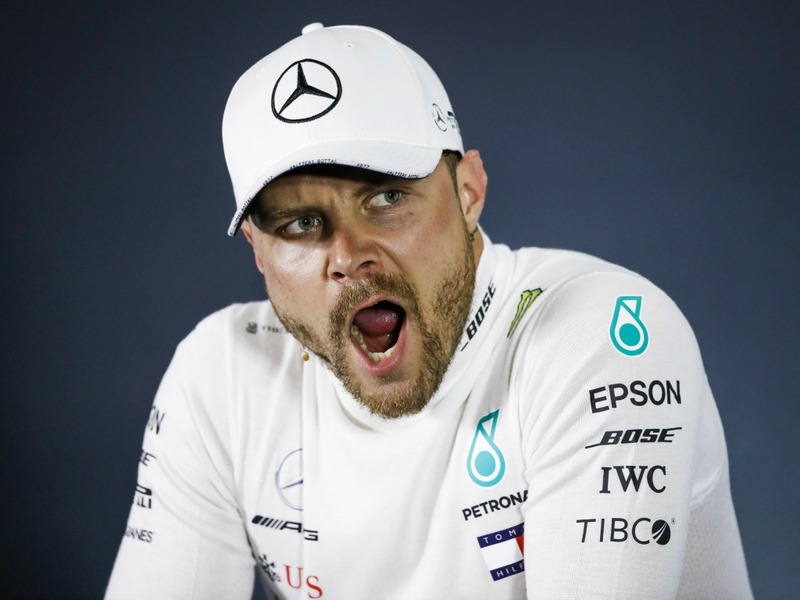 We will depart with Valtteri Bottas perfectly summing up race day in China.